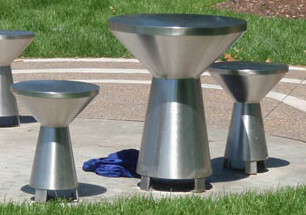 A trio of tables with two seats celebrates African drumming traditions and invites communal music making. 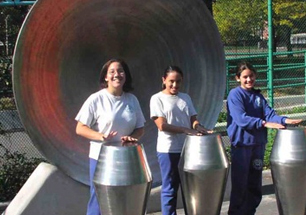 With names that mimic their tones, the quinto, tumba, and conga comprise a classic Afro-Cuban drum ensemble. 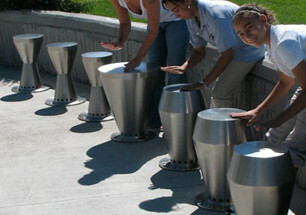 The Caribbean, African, and Native American drums form a world rhythm ensemble for smaller children. 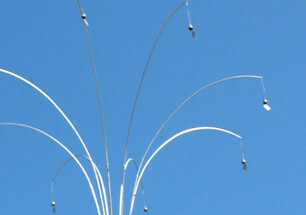 Activated both by the public and by the wind, vertical pipes are tuned to a 2 octave five-note (pentatonic) scale. 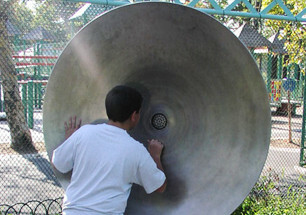 Children speak or listen through dishes inter-connected underground at distances up to 150 feet. 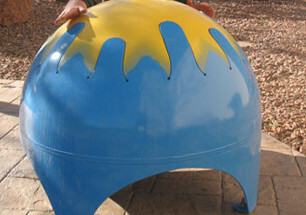 A hemisphere with vibrating tongues similar to a log drum refers to the turtle form common to Native Americans. 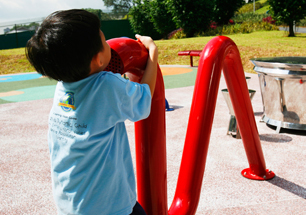 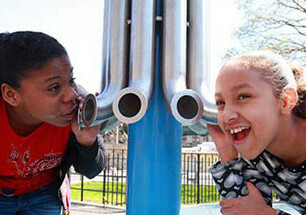 Children explore active play and communication through tubes interconnected underground in pairs. 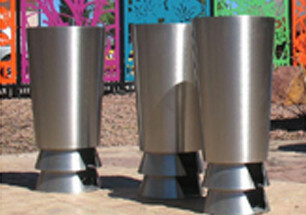 World Drums celebrate global rhythmic traditions and invite communal music making.